Our farm, Alpine Hills Dairy Farm in Dry Ridge, KY offers Spring Dairy Tours for school, churches, and other groups over 25 people. Our tours run April 1st – May 31st each year. 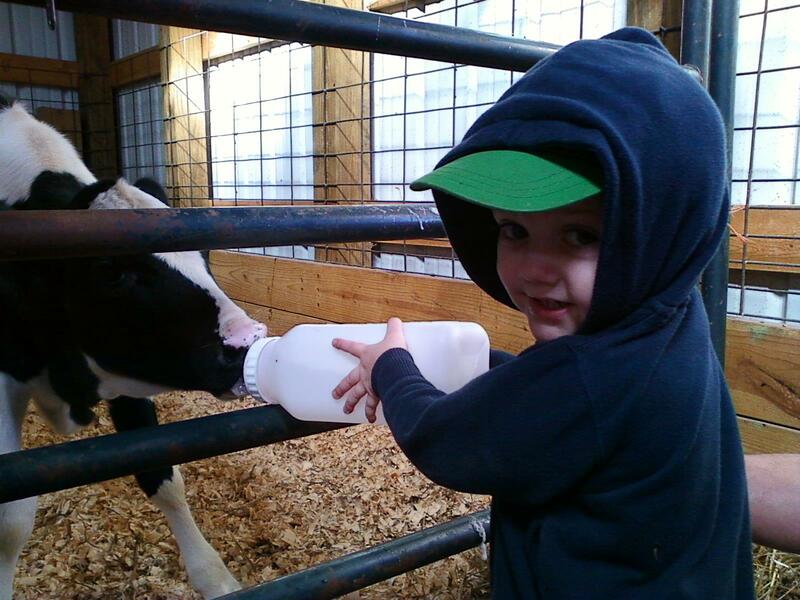 We are passionate about teaching children and families in our community about where their milk comes from! We also host a pumpkin patch and dairy tours on our farm in the fall – you can visit www.countrypumpkinsky.com to learn more. Learn about what our cows eat in Dairy Diet. Play in our Play Area, Corn Box (like a sandbox, only better! ), and Straw Bale Maze. Eat a picnic lunch in our Picnic Shelter. Learn what a real veterinarian does during Dirty Jobs with Dr. Lipps.